I have the same feeling about Facebook. I usually just go there to post a link from my WordPress site. Thanks, Tara! I’m so pleased to find you here and following my ponderings. And yes, YOU should write a blog! You have the material, the writer’s gift and (sometimes) perhaps a spare hour to actually sit down and do it. I’d love to read your thoughts and responses to whatever catches your attention. Have enjoyed your comments and photos. Thanks Nancy … great to see you here! I hope you’ll enjoy my blog and the discussions it might generate. Just to say you have a beautiful home here and I’m happy you could figure it out because I never did for myself. I DO hope you come by the poem page to visit, and I appreciate FB because it gave me so much more about who you are and what your life is like than I could ever have gleaned from poetry forum. I have bookmarked your page and hope to visit once in awhile….. Congratulations! SallyMaria, what a pleasure to read your comments! Now that I’m motivated to be here and use it as my own base, the building blocks are clicking into place. It’s not so hard, really. I won’t do fancy graphics and embellishments. I’ll just write, and share photos and whatever else, and hope others feel like taking a look and maybe adding their own thoughts. I intend to stay with my writing groups on FB, never fear. They’re different from my status updates and news feed. I’m just not going to offer my opinions with a bulls-eye stuck in the middle. I tend to do that. I’m not blaming other Facebookers as much as my own lack of social-media toughness. Thank you for coming here. I hope to see you often. Very eloquent Brenda. Well Done! Thank you for the invitation to visit your blog, I would have missed you, and your opinions, whether I agree or disagree, they are always food for thought. Thanks Daryla … great to see you here! My offerings can be hard to digest, though. 🙂 Still, I do enjoy pondering all sorts of difficult issues and this will allow me to keep doing that. PS what type of bird is the picture of? 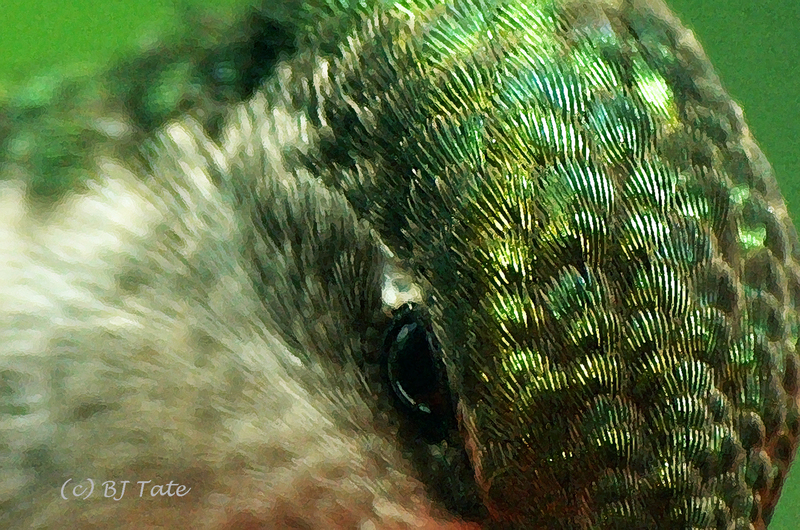 It’s a female ruby-throated hummingbird. Thanks, Janet, for your positive response to this initial attempt at a blog. I’m making my way carefully and hope to post a daily observation, photo or reaction to a current situation.